Since launching at the 2000 Melbourne Fringe Festival (where it won the "Palme D’Broadway") Spontaneous Broadway has enjoyed successful sold out seasons around Australia (Sydney Opera House, Fairfax Theatre VAC, His Majesty’s Perth), New Zealand and at the Edinburgh Festival (The Famous Spiegeltent). 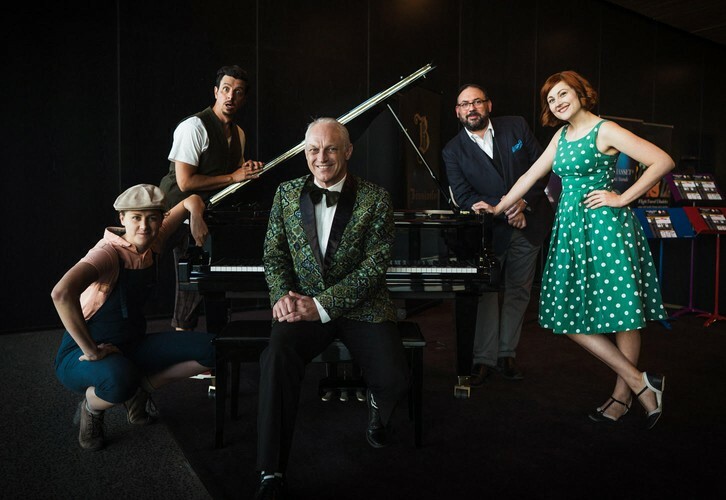 Hosted by Lliam Amor and maestro musical director John Thorn the cast features the absolute cream of Australia’s impro musical comedy talent including Rik Brown, Amberly Cull, Andrew McClelland and Louisa Fitzhardinge. The show is a completely improvised musical. The audience write original song titles that are collected and placed on stage in the “bucket of dreams”. The cast, who play characters from the Music Theatre world, each choose a title from the bucket and pitch their potential Broadway “hit” including a song at the end of the pitch. After 4 pitches the audience vote for which show they want to see in its entirety with a reprise of the winning song. every show is a unique experience for the audience, as well as the cast, and the show has many fans who see multiple performances during a season.